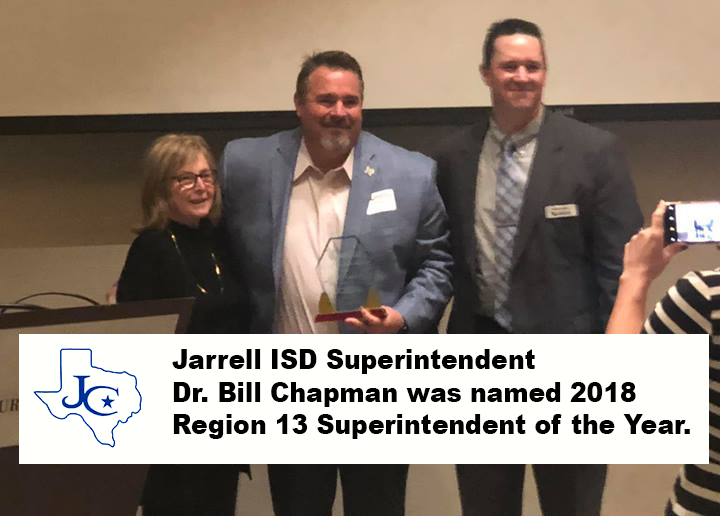 Jarrell ISD is proud to announce that Dr. Bill Chapman was named 2018 Superintendent of the Year for Region 13. Chapman was nominated for this award by the Jarrell ISD Board of Trustees. The Superintendent of the Year program recognizes exemplary superintendents for their strong leadership skills, dedication to improving educational quality, ability to build effective employee relations, student performance and commitment to public involvement in education. Chapman has been the superintendent of JISD since July 2012. Since that time, the district has nearly doubled in size. He has a B.A. in History from the University of Texas-San Antonio, and a Masters in Educational Administration and a Doctorate in Educational Leadership from Sam Houston State University. 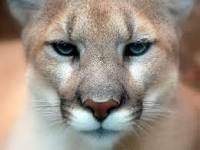 Chapman also serves as an Adjunct Professor for SHSU. Since 1984, the Superintendent of the Year (SOTY) award program has honored outstanding administrators for achievement and excellence in public school administration. These school leaders exhibit exemplary and visionary leadership toward improving student performance. They are chosen for their strong leadership skills, dedication to improving the quality of education in their districts, and commitment to public support and involvement in education.